New on the Market after Hurricane Matthew! LOCATION PLUS! Off the Chart Views from 2 Beachfront Balconies! 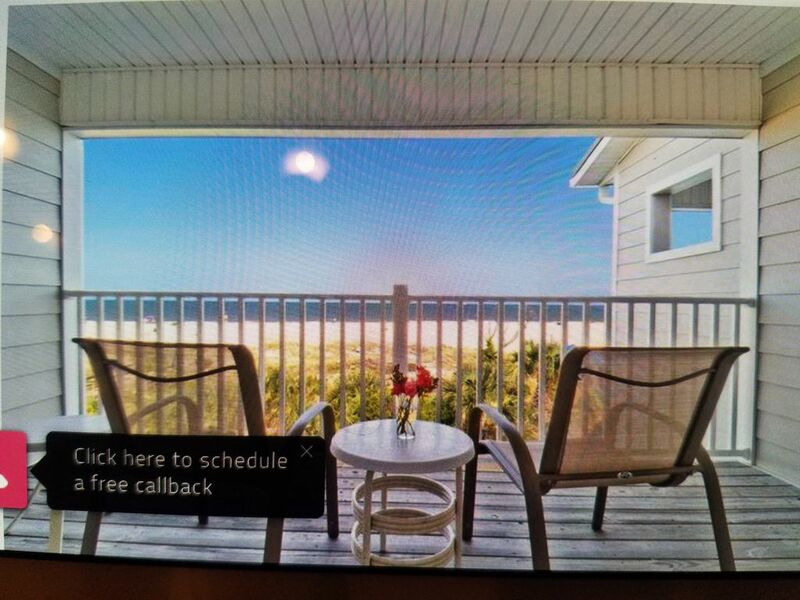 Short and Sweet---Beachside Colony - three pools with one heated during the off season- Tybee's ONLY BEACHFRONT Resort with Restaurant (exclusive Beachfront, NEW 5 star Restaurant - The Deck- with live music, beachfront dining and tiki bar). Gated Atlantic Ocean Home (#11)Gated Community Rt On The Beach- 3 level with private garage. Televisions Throughout, 50'' Flat Screen with Stereo, Unbeatable Views with two Balconies overlooking Beach, Luxury Bedding Throughout!! Luxury State of the Art Sleeper (Living Room can serve as comfortable BR!). Large master with private, large beach balcony! Pets are welcome! Heated pools are not a guaranteed amenity. *SNOW BIRDS* -- book early to receive early bird discount. Come spend the cool months with us and enjoy all the extras (heated pool, onsite restaurant, onsite bar, steps from the beach and AWESOME VIEWS). *****We have more beachfront condos available with discounts if booked through owner-- all within the wonderful Beachside Colony **** Check out Beachside Colony's Website- for more great information!! I also own BeachHouse 432 and 442. In addition, Ocean Song 321. Hello! My name is Dana Brooks. My mother and her best friend (and husband) purchased this block in 1992 (it was The Economy Lodge and Spanky's). We called Atlantic Ocean Homes our 'Mother Ship'. These townhomes are 'one of a kind' on the island. It is spacious with 2 balconies and more! We are grateful to be able to share our 'Mother Ship' with you and your guest to make memories!! Bike Rental just 1 mile. Tim's bikes will deliver to town home. The condo was very clean and lovely. It was great to be right on the ocean and the views from the living room were fabulous. Kyle, I'm so glad to hear that you enjoyed your anniversary and the beach from your porch! This is a great location to see everything on Tybee and in Savannah easily. The garden area surrounding the condo was great. Easy access to the beach. The condo was nicely decorated, very clean and well maintained. The rooms were larger than a lot of condos. My entire family loved this vacation. I'm sure we will be back in the future. Dana was very easy to deal with. Altogether an excellent experience. I am delighted to hear! Please never hesitate to give me a call if you would like to visit again. I booked this town home at the last minute and was a little concerned about the decor (it wasn't beach oriented as I prefer while on vacation). I was so pleased to find that the owner had just redecorated and provided many upgrades to the town home!! The place was wonderful. We brought my great aunt (walks with a cane) and were also concerned about her enjoying herself. Needless to say--- she couldn't have been more comfortable. We had our own private in house elevator!! Also, this town home is within steps of the beach, Marlin Monroes, and the playground. I recommend it, but the only thing I ask is that you love it as we did, because we are planning to return ASAP. Getaway for a week!! No really- forever!! Note- 2 Week Cancellation Policy for 100% refund.